If you have ever watched a couple dance the Tango, then you are probably aware that it looks like one of the most fun dances you can learn. There is a reason why it is one of the most popular choices for the show, Dancing With the Stars. It requires both partners to be completely in-tune with one another. This dance requires patience and plenty of practice if you want to become successful in learning it. However, many people shy away from learning because they think it looks too difficult. This is a mistake, because there are plenty of ways to learn. One of those ways, is through video lessons. One of the many advantages to using video Tango lessons, is that it provides a step-by-step review of what to do with your partner to pull it off. Video lessons break down the different moves of the dance so that you can learn them in each step. When you are forced to learn the various aspects of the Tango all at once, it leaves you feeling confused and frustrated. Additionally, video lessons appeal to visual learners. They benefit from being able to listen to the explanation of the dance steps while watching them being performed at the same time. Video lessons are also cheap, and, in some cases, they are free. Simply go to YouTube to download the latest videos on how to properly dance the Tango. However, you need to be careful and choose the videos which actually show you everything that you need to know. Only choose videos which contain the most views and positive feedback. Research professional Tango dancers online, and then see if they have videos uploaded for you to watch. This is a free way to get some of the best dance lessons from the most revered dancers in the industry. Another advantage is that if you do not understand once part of the dance, you can review it over and over again, free of charge. Tango lessons are expensive, so it pays to find a quality video. Simply rewind the video to parts of the dance that you need to work on the most. You can do this from the comfort of your own home. Sometimes it is embarrassing to have to ask an instructor to repeatedly show you the right moves. A video allows you to go back to review them with ease. Tango video lessons are ideal because they can be viewed from the comfort of your home. You will not feel self conscious while trying to perform the moves. Simply link up with your dance partner and dance the day away! You do not have to worry about dressing up in the appropriate attire. Choose something loose-fitting and comfortable to wear before you get started. This will allow all of your movements to be much more fluid and natural. 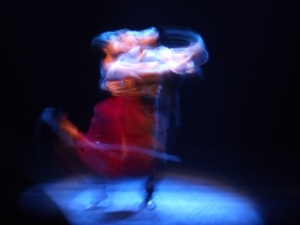 Dancing the Tango is great fun, and video lessons can get you started with your new adventure.